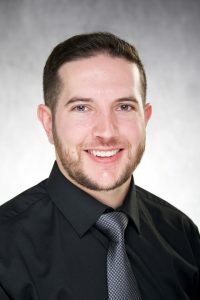 Ben Miele, Assistant Professor of English at University of the Incarnate Word, won the University of Iowa 3-Minute Thesis competition in 2015. Ben will be a guest participant in the UI Next Gen PhD Elevator Pitch/3-Minute Thesis symposium (Nov. 18, 12-1, Main Library 2032). He allowed us to republish a blog post he wrote just after he completed his PhD in English last year. Ben’s twitter handle is @HarpocratesJr. Distilling a dissertation down to three minutes is challenging but doable—and valuable. The emphasis is on clarity and concision, cornerstones of those ever-important communication skills, and so it helps students in any discipline, primarily because they can practice explaining an involved and arcane research project to an audience that is not in the field. But even those “in the field” are not experts on the particular topic of each and every dissertation. My dissertation was about surveillance and reading, and few researchers of early modern English literature are experts on Renaissance surveillance practices. So the 3MT can help with the thesis defense, the elevator pitch, and the job interview—as well as with the justification of the English PhD to inquisitorial relatives at Thanksgiving. If students start planning to do it early enough, the 3MT can even help them hone their arguments at the prospectus stage. The 3MT asks students to explain how they arrived at their research, what new discoveries they made, and why it matters—all in just three minutes. Prospectuses, ideally, also aim to situate one’s research in a larger conversation, explain one’s unique contribution, and show why a research finding is important. I think the 3MT model could even help in the creation of a prospectus. Going through the 3MT process can make one more competitive when applying for scholarships, fellowships, and grants. It encourages students to think about how to appeal to a broader audience—something that, unfortunately, is often not considered until late in the writing process. if preparation for the competition is started early enough, the 3MT can make the thesis better. In any event, or as in my case, it can make the explanation of the thesis better. 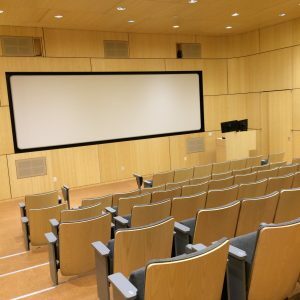 And if the competition takes place at an amazing place like the University of Iowa, one can get a short, user-friendly video about one’s research, great for showcasing on one’s web site. Check out my three-minute presentation, which garnered me a first-place prize and a People’s Choice award—not thePeople’s Choice©, ®, ™, etc. award, but an award nonetheless. Jennifer Janechek, a PhD candidate in English at the University of Iowa, is completing a dissertation that reveals how Victorian and modernist writers engaged with telephonic technologies. If George Eliot were living today and her sense of determinism shifted from ethical to technological, she might modify her famous line in Adam Bede to read, “Our tweets determine us, as much as we determine our tweets.” Such a sentence captures my anxiety as a social media user who is currently on the academic job market: we make the initial decision to tweet, but then our tweets can get decontextualized, misappropriated, and plagiarized. Or they can encounter audiences we didn’t anticipate, and take on lives of their own. Twitter is highly effective at facilitating “soft” networking. Kreilkamp pointed out that Twitter gives graduate students access to contexts we might not have imagined possible. If someone with a large Twitter following retweets us, our tweets can reach audiences otherwise unthinkable (hence the need to be mindful of our postings—see point three below). Also, we can “attend” conferences virtually if there are actively tweeting participants and a conference hashtag (I’m following #NAVSA2016 as we speak!). In addition, Twitter connects us with scholars we might not have had the opportunity to meet under other circumstances, and it enables us to continue conversations with people we meet at conferences or other events. Whereas I would never send a professor whom I’ve never met a friend request on Facebook, nor would I feel comfortable sending him or her an unsolicited email, I have unabashedly followed numerous scholars on Twitter. Because Twitter provides a less “personal” setting for the exchange of ideas, I am able to engage in conversations with academics to whom I might not otherwise have access—giving me greater visibility, sure, but also enabling me to participate in timely discussions with faculty and graduate students around the world. Indeed, Twitter has given me a better sense of the state of my discipline and its subfields, since I have been able to follow trending topics and watch major debates unfold. Create lists in Twitter to start conversations of which you want to be a part. I identified with students in the audience who spoke of concerns about sounding smart enough or professional enough on Twitter, a particular challenge when one is constrained to a 140-character limit. But Kreilkamp encouraged graduate students to converse with other scholars, emphasizing that Twitter is a “social” medium rather than an archive of self-promotional tweets. Those tweets do have their place, to be sure—after all, Twitter is a great way to publicize one’s work—but they should not dominate one’s Twitter feed. I was particularly struck by Kreilkamp’s idea of using “lists” to tailor Twitter feeds to specific research and/or teaching interests, in this way taking an active role in creating and maintaining scholarly conversations. As Kreilkamp emphasized, Twitter discussions can fuel work aimed at both academic and broader audiences, triggering ideas for different kinds of writing. Be mindful that tweeting can carry very real implications. Both Kreilkamp and the audience referenced Twitter scandals and instances of public shaming that have resulted from ill-advised or misconstrued tweets. We discussed the possibility of having two accounts—one personal (and potentially pseudonymous) and one professional. However, there is still a risk, if you choose the former option, that someone will discover your private account. I approach Twitter as a space for intellectual exchange and social activism, reserving my more personal stories or ideas for Facebook—all the more so now that I am on the job market and have to consider how each tweet contributes to my digital identity. But the question and answer session caused me to scrutinize my pedagogical use of Twitter. Although I have been cautious in having students use Twitter, making this use optional, recommending that students adopt pseudonyms for their Twitter handles, and reminding them of the various audiences (e.g., potential employers) who might read their tweet history, I left Kreilkamp’s talk with a renewed sense of the need to be mindful of how my students use social media. I think Twitter provides a great place for students to share reactions to readings in real time and to extend large-group discussions beyond the classroom, but because I teach courses that often address contentious topics, it’s especially important for me to emphasize to my classes the public (and permanent) nature of social media. I have always had an on-again, off-again relationship with Twitter, never knowing quite how best to use it. The question and answer session with Dr. Kreilkamp gave me concrete ideas for how to make (careful) use of the unique writing and networking space it offers. See you in the #twitterverse—tweet to me @jjanechek! Dr. Amy Chen is the Special Collections Instruction Librarian and Interim English and American Literature Librarian at the University of Iowa. Her Twitter handle is @AmyHildrethChen. 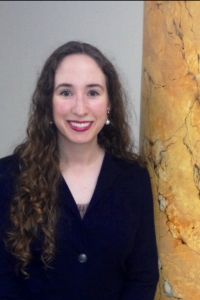 Looking over Dr. Amanda Visconti’s CV before her talk at the University of Iowa a few weeks ago, I realized that part of her success as a tenure-track Digital Humanities (DH) Assistant Professor and DH Specialist Librarian derives from her background. Dr. Visconti received an MS degree in Information prior to obtaining her PhD degree in Literature/Digital Humanities. So does it matter that Dr. Visconti has both the MS and the PhD degrees? The truth is that obtaining an information science degree may not be necessary in every case for future digital humanities faculty and/or librarians, but it does allow candidates more flexibility on the job market. It highlighted her commitment to a professional orientation beyond a tenure-track job in a literature department. While Dr. Visconti does not have one of the most common library degrees, the Master in Library and Information Science (MLIS) or the Master of Library Science (MLS), her Information MS can perform the same role as these degrees do by formally expanding her identity. It added value to her Literature/Digital Humanities PhD. The Information MS degree is for students who might wish to work in a variety of settings, including the technology industry. As Visconti went on to have her PhD cross-listed in Literature and the Digital Humanities (DH), she was able to take the broader understanding of technology she acquired from her master’s degree and apply it to the research she was doing for her PhD, increasing her academic exposure to digital methods. It allowed her to be a more sophisticated doctoral student in Literature. With her first degree behind her, Visconti was better informed when she needed to research graduate schools and choose a mentor. This savviness also allowed her to be better positioned to reshape the paradigm of what the dissertation looked like, and to be able to advocate for her work. It gave her better timing on the job market. Dr. Visconti got her “additional” certification first. For doctoral students interested in library or DH careers, contemplating—while taking coursework, studying for exams, or writing dissertations—the pursuit of an additional degree can be overwhelming. But waiting until after graduating to consider this possibility can be even worse: at some point, a newly-minted PhD needs to earn a living wage, establish a family, settle down geographically, or simply leave her student days behind. Rather than finding a master’s program to professionalize her doctorate credential, Visconti carried her professional orientation into her PhD research, empowering her literary analysis while also giving her more options on the job market. Writing this as an academic librarian—I am currently the Special Collections Instruction Librarian and Interim English and American Literature Librarian at the University of Iowa—without an additional master’s degree, I can’t approach Visconti as a model of how to pursue a career in libraries because she is relatively exceptional. It’s not just that she holds two degrees, but that the order in which she obtained them is important. Acquiring additional credentials so as to move into a different career track after graduating with a doctorate is a much more complicated undertaking, although certainly not impossible, as my career proves. To acknowledge this reality is not to make Visconti’s new role at Purdue seem any less exciting, or to suggest that her research is any less avant-garde, but it does concede that her experience is difficult for many students currently enrolled in PhD programs to emulate. The Three Minute Thesis Competition (3MT) finals are this Friday, and I am beyond excited to be part of this event. I was asked to share my experience in going through the preliminary round of the competition, so that other students might know what to expect if they sign up in the coming years. Essentially, 3MT gathers graduate students from all over campus to share their research with a larger community and to highlight some of the awesome work taking place at the University of Iowa. The challenge set out for competitors is to cogently describe their research to folks who might not be familiar with their subjects, making it clear why this research is important, and describing their work in a compelling, interesting way—all in three minutes or less. I had heard that the 3MT was great practice for future job interviews, so when I got the email from the Graduate College advertising the preliminaries, I signed right up. This year, 43 graduate students participated in the first round, sharing projects from many disciplines. My favorite part of the competition has been hearing about some of the other projects, from researchers striving to cure blindness and cancer to researchers involved in getting more people to vote. It is exciting to be able to learn something new from an expert on his or her subject in such a small burst of time. So, what is it like to shrink your thesis down to the bite-size version and give the three-minute pitch? It’s a challenge, but a fun one. I had a few weeks to prepare, so I started by drafting a script and reading it out loud with a stopwatch. To talk about the women writers of the Beat Generation, I had to think about what someone would need to know to understand what I’m doing if they aren’t familiar with this time period in literary history. (Who are the Beats? What did they do? Why do we need to talk about the women writers? Why does this project matter?) I did my best to cut out as much jargon as possible, and to shape my explanation around a story that would keep people interested. Then, it was time to practice, practice, practice! On the day of the preliminary speeches, we were called up one at a time to present our work. Everyone was allowed to have one static PowerPoint slide projected onto the auditorium widescreen behind them, and a time clock in the corner ticked down from three minutes to the end. Presenting to a panel of judges and a small audience (I’d say there were about fifteen people watching my group), we delivered our speeches, each of us keeping one eye on the clock as we spoke. Presenters were evaluated based on the accessibility of the content, the clarity of the speech, and the style of the presentation. Although I was a bit nervous as I went through my speech, it was great practice for presenting my work, and I’d recommend taking part in the competition to anyone in the later years of their graduate research, especially those preparing for prospectus defenses or the job market. If you want to check out the 3MT finals, they’ll be held this Friday, November 4th, from 3:00-5:00 in the Art Building West, room 240. Come and hear about some really cool projects, and come cheer us on—it should be a lot of fun! Symposium 3: The Tweet The speed of Twitter communication presents an opportunity and a challenge. As they compose 140-character missives, tweeters can try out different identities, throw out fishing lines, and sharpen lures. On the other hand, an ill-considered comment can have an alarming permanence as it rockets across the Twitter-verse. This symposium will attend to how graduate students can craft professional personae online, with particular attention to voice and tone. The symposium will consider how the same rhetorical skills that allow Twitter-users to disseminate scholarship can be marshaled in careers beyond the academy. We’re especially interested in talking to Dr. Kreilkamp about how he has come to write for both scholarly and popular venues, and about how his Twitter persona has evolved. To sample Ivan Kreilkamp’s writing in advance of the symposium, check out his essay “Against ‘Against [X]’” in the New Yorker, or his Twitter handle @IvanKreilkamp. Listed below are the questions we’re poised to ask him on November 1. Feel free to add more in the comments section. Will you talk a little about how you made the transition from writing for scholarly venues to writing for magazines like the New Yorker, Village Voice, or Public Books? Are there ways in which you (or others at your home institution) are helping PhD candidates develop skills that will serve them in careers beyond the academy? What advice do you have for graduate students who want to cultivate a Twitter presence? Are there aspects of voice curation on Twitter that you think are especially important for graduate students? Do you encourage your graduate students to develop an online presence? Are there Twitter mistakes of which graduate students need to be especially cognizant? How does one rebound from a Twitter mishap? Who maintains the Twitter presence of Victorian Studies (@VictStudies), the journal which you edit? How, or to what extent, is it possible to use Twitter to advance a research program? What are the potential positive and negative effects on scholarly production of an active Twitter presence? How much time do you think a graduate student should spend on curating an intellectual presence online? Do you recommend that graduate students follow certain communities online? In your field, are there “must-follow” online entities? What are they? To what extent does Twitter help you keep up with your field? How do you feel about the live-tweeting of conference papers? What would you say to skeptics who think that Twitter is about self-promotion and little else? What is the shelf life of a tweet? Do you anticipate a future in which tweets get cited in scholarly articles? 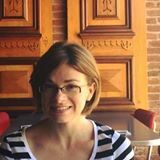 Guest post by Kate Nesbit, PhD student in the Department of English. How can we craft personae and build professional and intellectual communities in posts of 140 characters or less? On Tuesday, November 1 (BCSB 101), Ivan Kreilkamp joins us to discuss the genre of the tweet in our third Next Gen PhD symposium. Kreilkamp, co-editor of the journal Victorian Studies and professor of English at the University of Indiana-Bloomington, curates a lively Twitter account. His tweets engage in intellectual debate, promote others’ scholarship, link to his publications, and—of course—mourn the woes of the current election season. Young scholars and graduate students admiring Kreilkamp’s Twitter presence may wonder: How can I cultivate an online voice that feels authentic and conversational, but also scholarly and professional? How can I create a community of thinkers who take interest in what I have to say? What we hope to accomplish through Twitter, Victorian authors like Benjamin Disraeli, Elizabeth Gaskell, and Charles Dickens hoped to accomplish through novels. 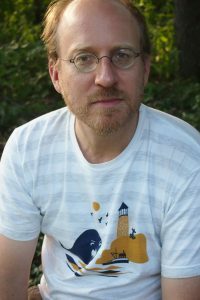 For, as Kreilkamp argues in his book Voice and the Victorian Storyteller (2005), Victorian novelists tried to create in their fiction an “imaginary-voice-in-writing.” Victorians figured the novel as the utterance of an authentic, charismatic storyteller, he argues, in order to reconstitute isolated readers as a community of rapt listeners. Kreilkamp challenges characterizations of print culture as oppositional to oral culture. He reads Victorian fiction in relation to the phonograph, Victorian shorthand systems, and other attempts to represent the sounds of speech in writing. So, how can we describe the “Voice of this Victorianist Tweeter”? Kreilkamp, too, is adept at crafting a personable and smart imaginary-voice-in-typing, a voice accessible and engaging to a community that extends beyond the academy. He has published scholarly articles on topics ranging from speech and voice in the nineteenth century to Victorian pet-keeping and animal studies. Yet he also publishes regularly in venues geared toward wider audiences—The New Yorker, Public Books, and The Los Angeles Review of Books—on issues literary, academic and otherwise. In short, his is a voice worth listening to, whether in the form of an article about dogs in Great Expectations, an opinion piece on pulp comics in Public Books, or a 140-character tweet about whether men should be pictured squashed under skillets instead of high heels. We look forward with great anticipation to the arrival of Dr. Nick Sousanis, an Assistant Professor in the School of Humanities and Liberal Studies at San Francisco State University. Nick is the creator of Unflattening, which started as a dissertation in comics form, an experiment in making an argument through images, and went on to become a much-celebrated book published by Harvard University Press. Nick will be a participant in our second Next Gen PhD symposium, one that is focused on the footnote or, more generally, forms of citation, but Nick’s creative practice will also help us talk about the dissertation (the topic of our first symposium), and social media forms like the tweet and the blog post (topics of future symposia). Because Nick’s book argues that words and images are equal partners in meaning-making, he finds ways to cite images that influenced his argument as fundamentally as did the words of philosophers and theorists. Why did you choose academe? What was the utility of the PhD for you? Did you consider careers outside the academy? What were the limitations of traditional modes of scholarship that led you to prefer the comics form? What new things did this format allow you to do? Were there kinds of information that exceeded the boundaries of a traditional dissertation? Please talk about images as sources. Who were your main artistic influences? How do you manage your archive? Are there moments when you rue the word limitations that are placed upon you by the comics form? What’s the most challenging criticism your work has received? Who did you see as your audience while you were working on your dissertation? on your book? What were the most important aspects of the ways you were mentored as a graduate student? Are there aspects of your graduate education that you would do differently if you were to start over again? Does it matter whether or not conventional scholarship cites your work? How would you mentor traditionalists? Do aspects of your creative practice translate to working with students who are writing in more conventional modes? 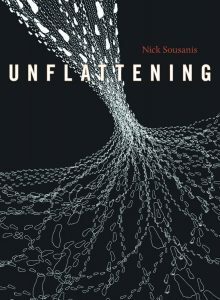 Author jpascoePosted on October 19, 2016 June 29, 2017 Tags Digital Humanities, Graduate Education, Nick Sousanis, Non-traditional dissertation, Unflattening1 Comment on NICK SOUSANIS IS COMING!!! 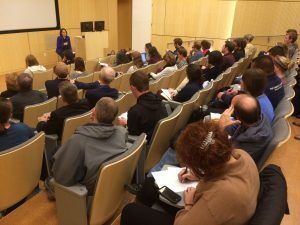 What struck me as I listened to Amanda Visconti’s question and answer session last Wednesday is that the generosity of Visconti’s mentors helped enable her success in academia as an Assistant Professor in the Humanities, Social Sciences, Education and Business division of Purdue University Libraries. I focus on the word “generosity” because it indicates that the mentorship Visconti received went beyond what traditionally is given in an academic setting. The exceptional support her committee provided highlights two examples of best practices that could be adapted by future digital humanities advisors to make Visconti’s experience more universal. First, Visconti’s committee members prepared her to answer negative feedback that would misinterpret the value of her digital humanities work. In so doing, they viewed themselves as advocates of their unconventional student rather than as traditional certifiers of disciplinary expertise. As the author of the first fully digital dissertation, Visconti needed to anticipate how textual studies scholars would perceive Infinite Ulysses. Although her committee—Matthew Kirschenbaum, Neil Fraistat, Melanie Kill, Kari Kraus, and Brian Richardson—was fully supportive of her approach, they recognized Infinite Ulysses could be perceived as just an edited digital edition of Joyce’s masterwork. Then, the question would be if editorial work was sufficient for obtaining a doctorate. But Visconti did not shy away from this critique because she was able to engage with it early in her project’s development. Therefore, doctoral committees need to view their role as not only grounding graduate students in the extant scholarship, but also helping them anticipate how these modes of scholarship will view digital approaches. Second, Visconti’s entire committee met every semester. In contrast, many graduate students only are able to get their committees in one room in person at critical moments in their graduate careers, such as at their exam or defense meetings. The collective approach taken by Visconti’s committee did not replace individual relationships; rather it bolstered those one-on-one meetings by helping Visconti to discuss Infinite Ulysses in both settings. However, to make biannual committee meetings possible for graduate students, faculty may need to formally revise their expectations for mentoring. Otherwise, as Visconti’s use of the word “generosity” recognizes, the majority of faculty will not find the time for these additional recommended meetings. What if we build a digital edition and invite everyone? Auditorium in the beautiful new Visual Arts Building, site of Wednesday (Oct. 12, 3:30) Conversation with Dr. Amanda Visconti. Dr. Visconti’s dissertation InfiniteUlysses.com will serve as the impetus for a wide-ranging discussion of dissertation and citation practice. 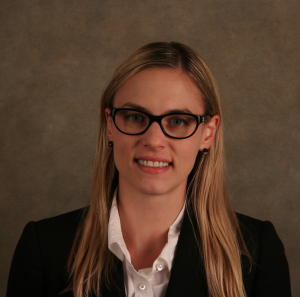 The title of this post comes from the white paper report on progress and process that Dr. Visconti wrote as part of her dissertation portfolio. Convey a sustained written argument with clarity and style. Carry a narrative arc through to completion. Provide a stepping stone to publication, whether print or digital. In a similar manner, we pondered the many tasks that the humble footnote has traditionally carried out, and our conversation extended to encompass such broad categories as ethics, collaboration, collegiality, etiquette, and community. “It’s a place to show that writing is not a solitary act, that you are not a ‘solitary singer,'” said a Whitman specialist. “It’s a way of showcasing a community of like-minded scholars,” added another participant. Although we are interested in thinking alongside Amanda Visconti about how citation practice is being altered and expanded in digital venues, we were impressed by the varied work the traditional footnote carries out, and by cultural differences in its deployment (in some countries, footnotes convey miniature essays packed with competing views on a given subject, in others, footnotes communicate only the bare details of attribution). More than one person noted that footnotes, like a trail of bread crumbs, allow scholars to follow a researcher back to his or her origins, and so hold scholars accountable for their claims. We look forward to talking with Dr. Visconti about research practices old and new, and about how these practices can be marshaled in the service of varied career pursuits. AMANDA VISCONTI! AMANDA VISCONTI! AMANDA VISCONTI! Symposium 1: The Dissertation– Participants will look at traditional dissertations across humanities disciplines and also examine an array of new digital dissertation projects that take new forms (e.g., online exhibitions, maps, graphic format) and/or take advantage of new publishing platforms. In Dr. Visconti, creator of InfiniteUlysses, a participatory digital edition of James Joyce’s masterwork, we have the perfect inspiration for such a discussion. Symposium 2: The Footnote–Participants will look at the many creative roles the lowly footnote serves, both in the documentation of sources and in the expansion of thought. Participants will think about the work accomplished by this most traditional of citation forms, as they consider how new forms of digital scholarship (such as digital mapping and 3-D modeling) inspire new ways of crediting sources and directing readers to ancillary knowledge bases. This symposium will provide an opportunity to think about collaboration and teamwork more generally as participants consider how the skills required for successful scholarly citation (attention to detail, generous acknowledgment of others’ work, comprehensiveness) are transferable to other occupational settings. Since the work of Dr. Visconti and that of our second symposium guest, Dr. Nick Sousanis (creator of the first comics dissertation), both serve as great test cases for discussing these issues, we’ll be using both symposia to discuss both the dissertation and the footnote (and citation practices more generally). What modes of citational practice did you deploy in InfiniteUlysses? In what ways did your project require new kinds of citation? Does InfiniteUlysses get cited in scholarly work? Does this matter? 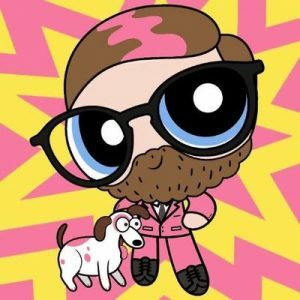 How do you drive traffic to InfiniteUlysses? Are Digital Humanities projects changing the ways in which scholars in the humanities think about acknowledgment pages and citations? What visual influence shaped your platform design? Did you have inspirational DH projects that you sought to emulate? How would your prefer your work to be cited? Have you experienced problems with people using your work without citation? Do you have a clear sense of what is expected of you in the promotion process or of what kind of peer review process your work will encounter?